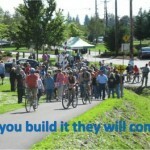 « GiveBIG Rides Again on May 6! 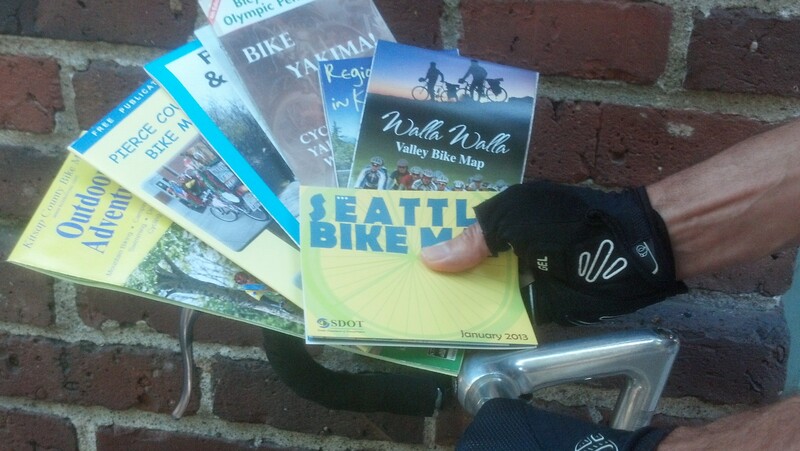 A ticket to outdoor adventures: Some of the bike maps we have in our Pioneer Square store & bike travel information center. A serious question for you: What do you think of when I say “outdoor recreation”? Why I’m asking and why “outdoors” is today’s word: I started my multimodal day at 6:20 a.m. with a short bike ride to the bus stop in dawn’s early light, a fast trip on Sound Transit #522 to downtown, and a carpool trip in a hybrid to Olympia for the first meeting of Gov. Inslee’s Blue Ribbon Task Force on Parks and Outdoor Recreation, which I’m honored to co-chair. Given the purpose of the trip and the other person in the car–fellow task force member Marc Berejka of REI–we talked all the way down about the outdoors. In both that discussion and in some of the remarks you’ll hear from task force members and citizens in TVW’s video coverage of the meeting, the evolving nature of outdoor experiences came up. Outdoor recreation has long been understood to include hiking, climbing, camping, hunting, fishing, skiing, kayaking, mountain biking — the list goes on and on. As we discussed today, in addition to — or for some, instead of — seeking out an experience in the great outdoors away from it all, many Washingtonians get an outdoor experience in an urban park or along a trail corridor. They’re playing bike polo. They’re inline skating. They’re walking along a creek in a small local green space listening to the frogs croak. 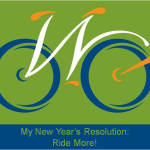 The task force gives me reason to ponder whether I think of much of my bicycling as being an outdoor experience. Goofy question, right? I’m not in a spin class, I’m outside. When I ride my bike to get somewhere it’s functional. It’s an act of utility. It’s transportation. I negotiate traffic lights, I take the lane position that makes me most predictable and visible, I choose my route for some purpose and that purpose is often geared around efficiency. Shortest distance from point A to point B. Fewest climbs (I can dream). Quieter streets. More miles on separated facilities because I find them pleasant. When I’m riding my bike to get places I notice the way the light changes for the same time of day across the seasons. I cue into the weather. I smell flowers coming into bloom. I choose streets with more trees and green, growing things over bare concrete. I’ll go out of my way to ride along water whenever available. I’ll listen to frogs, spot birds, wonder what belonged to the bushy tail I just saw whisk across the sidewalk or the trail. Today didn’t have a lot of riding in it, given the schedule. After I got back from Olympia I worked until after 7 p.m. trying to catch up, then rode on city streets to the bus stop at 4th and Jackson. My bus rolled up, I racked my bike, and read my Kindle heading north. But when I got off the bus, pulled my bike off the rack, and headed down Lake City Way to my neighborhood, I paid attention to the outdoor experience I was having. I looked at the street trees. I smelled the air. I smiled at the families out enjoying the tiny little pocket park down the street from our house. I ride by that park every day. I see the regulars getting in what my dad called a “daily constitutional” walking a certain number of times around the edge of the park on a little paved trail that can’t be more than a quarter of a mile long. I see twenty-somethings playing Frisbee or working up an informal game of touch football. Parents sit and watch their kids on the swings, or get up and push them. On my bike I have it all, even if sometimes it’s only for a few blocks. I get my heart and lungs pumping, I immerse myself in the outdoor world instead of separating myself from it, I live more intensely and more joyfully. I’m outdoors. What are some of your most memorable outdoor experiences? If you bike mostly “for utility” do you also think of the outdoor experience you’re having? If you bike mostly away from it all for the outdoor experience, what does that give you that you carry into your everyday life? 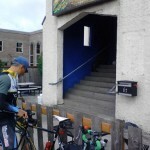 This article was posted in Adventure, Attitudes, Commuting, Everett, News, Trails, Travel. Bookmark the permalink. Follow comments with the RSS feed for this post. Both comments and trackbacks are closed.